In a victory for the freedom to read, Virginia Governor Terry McAuliffe today vetoed a bill that would have required public schools to notify parents of “sexually explicit content” in curricular materials. 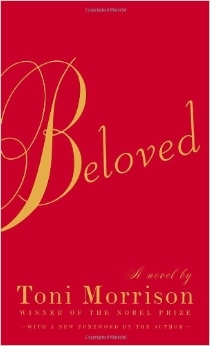 The bill arose from one parent’s attempt to ban Toni Morrison’s Pulitzer Prize winning novel Beloved from her son’s AP English class after he complained that the book’s content gave him nightmares. Open communication between parents and teachers is important, and school systems have an obligation to provide age-appropriate material for students. However, this legislation lacks flexibility and would require the label of “sexually explicit” to apply to an artistic work based on a single scene, without further context. Numerous educators, librarians, students, and others involved in the teaching process have expressed their concerns about the real-life consequences of this legislation’s requirements. Controversial materials greatly enhance a student’s education, they do not hinder it. Allowing a vocal minority of parents to shield students from controversial topics hurts no one but the students themselves. Our students should be well-rounded and intellectually competent in all great works of literature, despite the “evils” the pieces might hold. Evils will exist in the world no matter if we shield our students from them or not, but it is much better for students to experience them for the first time in a book, rather than in real life. Although lawmakers could still attempt an override of the veto, they are unlikely to succeed since it passed the Senate with only a small majority. Thanks to Gov. McAuliffe for trusting educators and preserving students’ First Amendment freedoms!